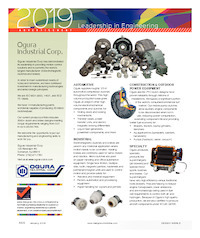 In the January 2019 issue of Design World Magazine, Ogura was featured in the Leadership in Engineering section. 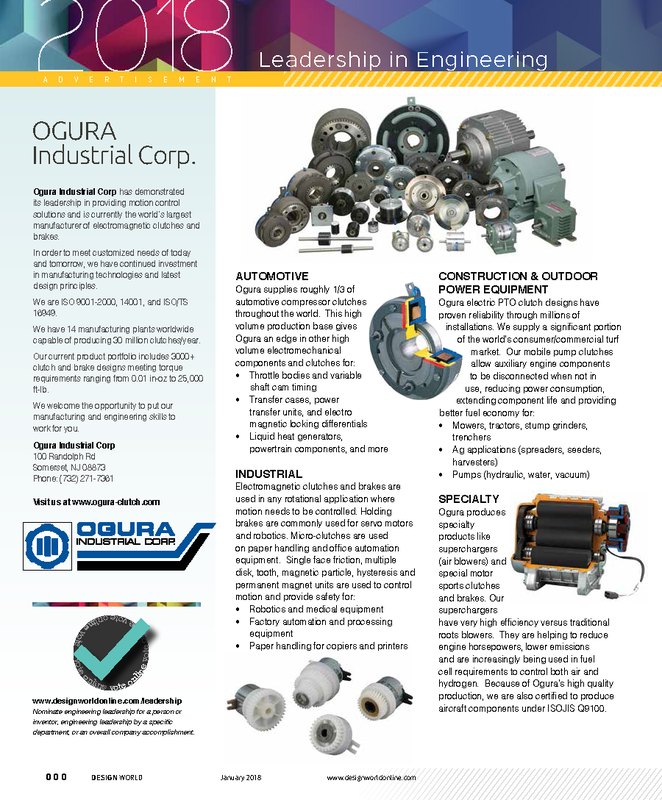 The page gave a short profile of Ogura Industrial Corp. and additional background into the major markets that Ogura Industrial serves in North America. In the January 2018 issue of Design World Magazine, Ogura was featured in the Leadership in Engineering section. 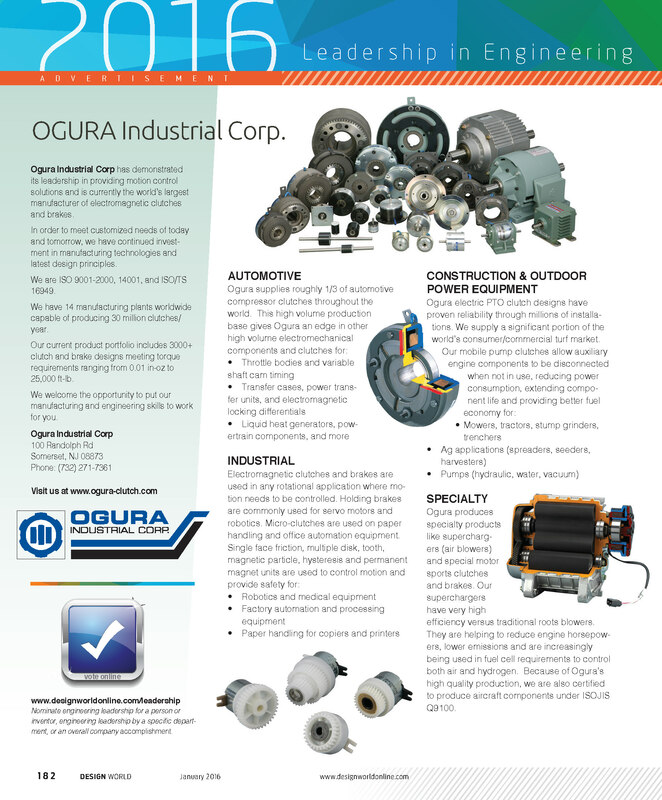 The page gave a short profile of Ogura Industrial Corp. and additional background into the major markets that Ogura Industrial serves in North America. 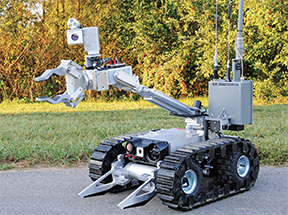 Machine Design: Whats the difference between torque control solutions? 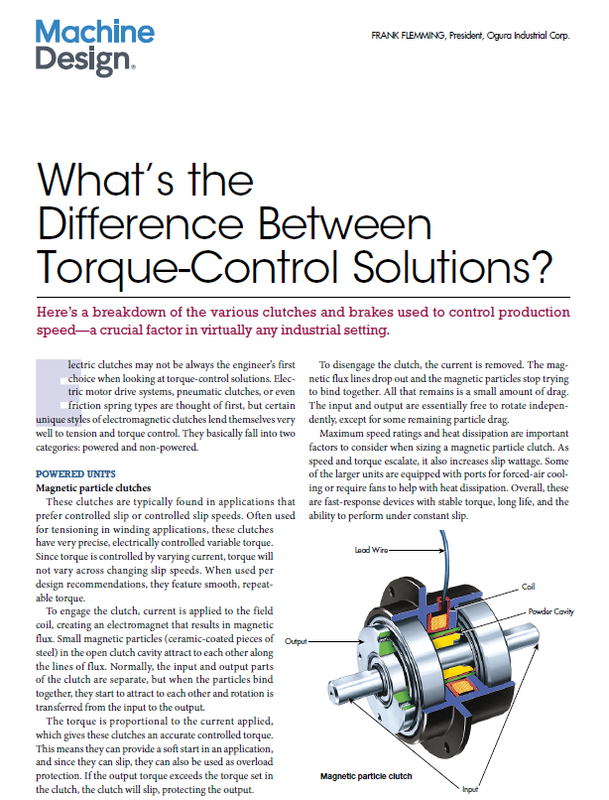 In December, Machine Design ran an article written by Ogura titles "What`s the Difference Between Torque Control Solutions?" 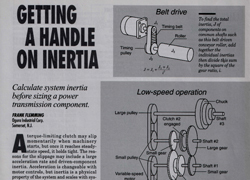 The article focused on using hysteresis products to control torque. 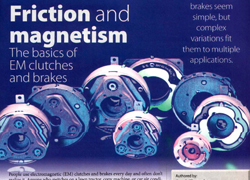 The article described the function of magnetic particle in powered and non-powered hysteresis clutches and brakes. 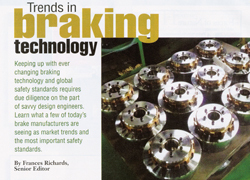 Since there one size doesn't fit all regarding clutches and brakes, the article did not focus on which is the best product. The article described how each product worked and left it up to the reader to determine what would be best suited for their application. In the January 2017 issue of Design World Magazine, Ogura was featured in the Leadership in Engineering section. 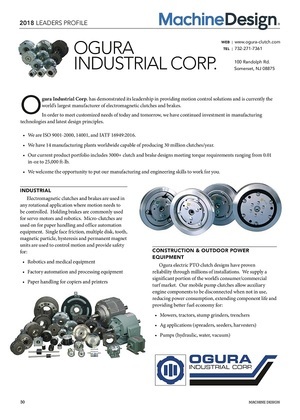 The page gave a short profile of Ogura Industrial Corp. and additional background into the major markets that Ogura Industrial serves in North America. 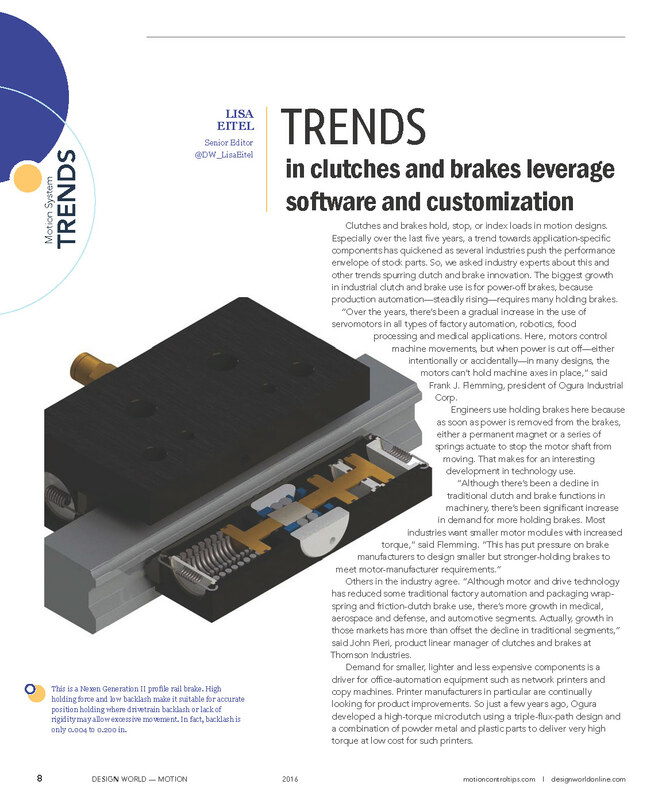 In the November issue of Machine Design, a brief article talked about the trend in robotics and servo applications to have thinner spring applied brakes. 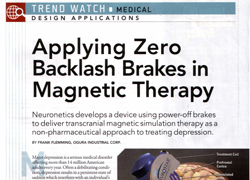 In the March issue of Design World Magazine and Design World online, Ogura contributed to an article regarding the trends in electromagnetic clutches and brakes. 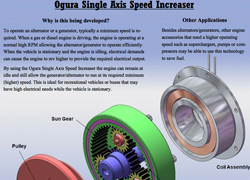 Ogura commented about the growth in holding brake applications due to the increased use of servo motors and robotics in manufacturing. Ogura also commented about the need for smaller but higher performing products and showed the new thin line of holding brakes as well as the micro clutches that are used in office automation for paper handling applications. The article also discussed how more product qualification is being driven to suppliers like Ogura. Reduced engineering staff at many OEMs means that suppliers are becoming more integrated with the OEMs design team to make sure the right product is chosen from the start. In the January 2016 issue of Design World Magazine, Ogura was featured in the Leadership in Engineering section. 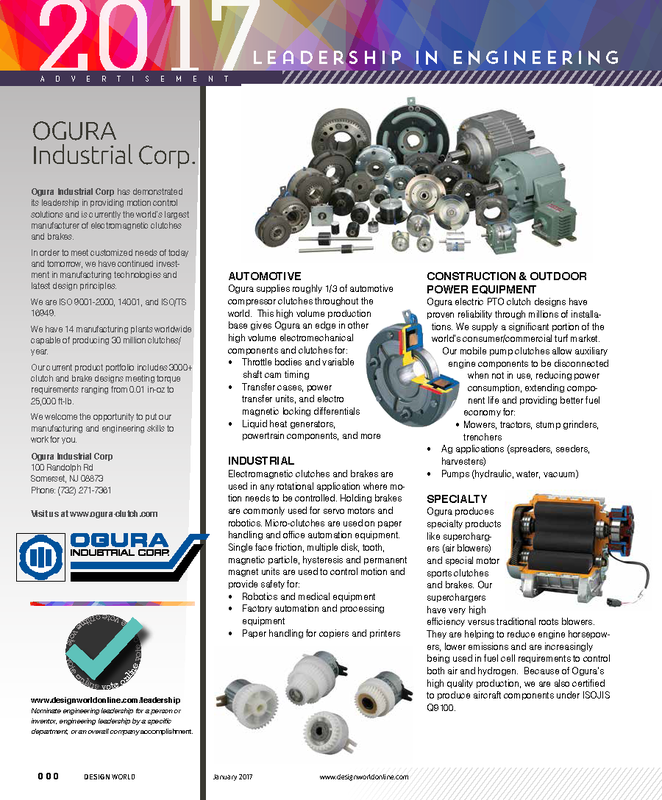 The page gave a short profile of Ogura Industrial Corp. and additional background into the major markets that Ogura Industrial serves in North America. 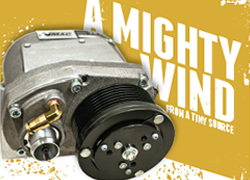 Fluid Power Journal: In the August issue of Fluid Power Magazine, shows how Ogura worked with VMAC to provide a small high torque clutch to power their new underhood compressor for pneumatic power tools and compressed air for mobile service trucks. 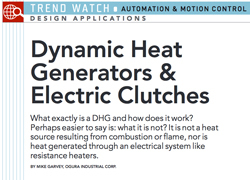 In the November issue of Design News, there was an article featuring Ogura clutches fora heat generator system. 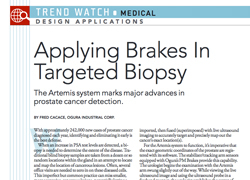 Design News: Hazardous Situations Require a Dependable Brake. 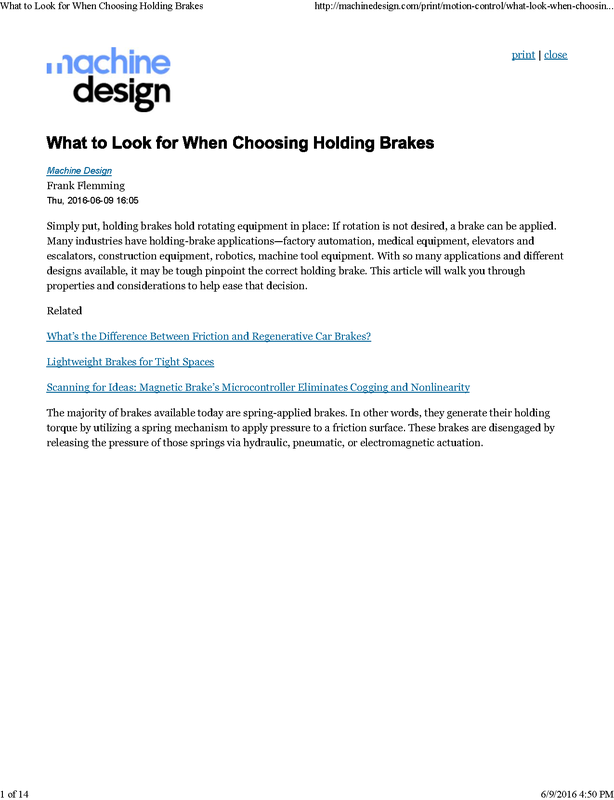 Safety is an important factor when deciding on the best brake for your application. The Ogura RNB brake is primarily used for holding a load in place. When the servomotor is running, the brake field is energized, so a magnetic field is generated, attracting the steel pressure plate. When the pressure plate is pulled toward the field, it compresses six small coil springs. 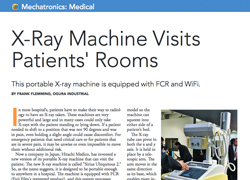 In the May issue of Design News, there was an article featuring Ogura spring-applied brakes for portable x-ray machine. 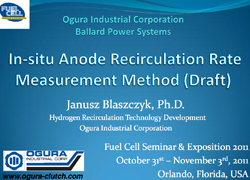 Ogura Presentation on TX series Hydrogen Blower at the Orlando Fuel Cell Seminar & Exposition - November, 2011: In-situ Anode Recirculation Rate Measurement Method. The February edition of Diesel Progress highlighted the technology of clean air. 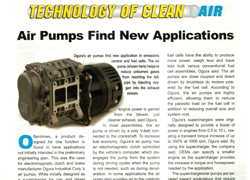 One of those articles showed how the high efficiency Ogura Air Pump can help to eliminate diesel particulates by assisting to burn off filtered particulates. 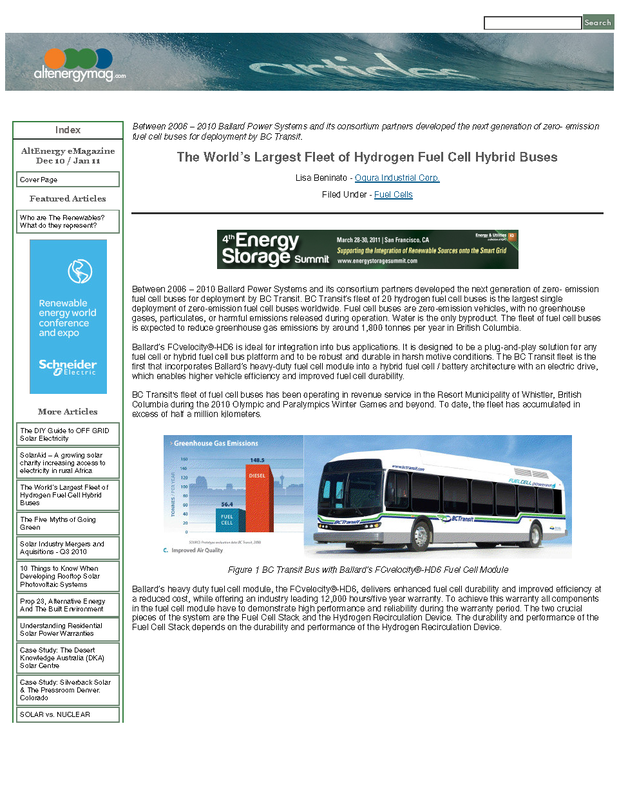 The article also explained how smaller high efficient air pumps are being used in fuel cell applications to help push air and hydrogen through the fuel cells proton exchange membrane creating electricity. There is a typo in the low speed formula. The reflected inertia of LG1 is currently listed as JLG1/(NS2/NL1)2. The correct formula should be JLG1/(NL1/NS2)2. In the high speed operation the reflected inertia of large gear 2 and small gear 1 is repeated twice. JLG2 + (JLG1/(NL1/NS2)2) should be eliminated from the first half of the equation. These mistakes were caught by Neal Middleberg, who is the Chief Engineer of Bowe Bell and Howell, who uses this type of formula to help define total system inertia in complex machines. 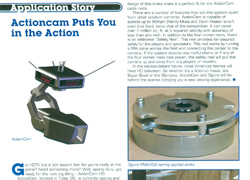 In the December 11th issue of Machine Design an article, In the Reporters Notebook section, talked about how the Ogura Spring Applied Brakes help the Action-Cam Company control their high definition stadium camera. The link above shows the article as it appeared in the Ogura Newsletter. 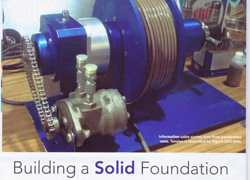 If you would like to see the Machine Design article please visit www.machinedesign.com. 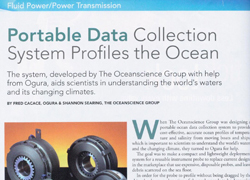 In April 2008 Diesel Progress ran an article about Ogura's advantages for the supercharger when used with marine engines. 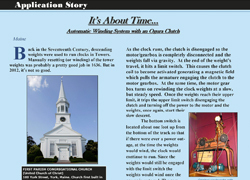 The original article for this story appeared in some industry newsletters in 2006. 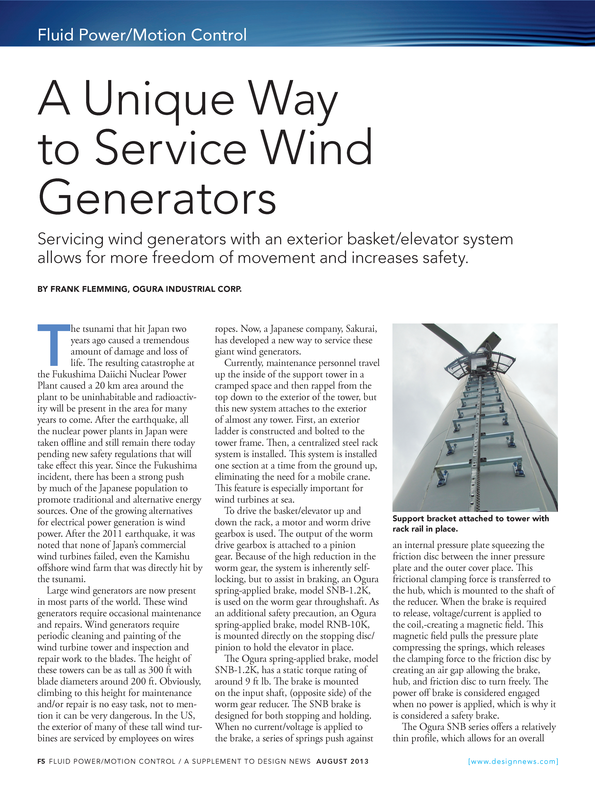 The attached story is the full article that appeared in Power Transmission Engineering magazine. 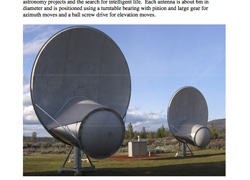 The article describes how Ogura brakes are being used to help position radio telescopes as they search for intelligent life in the universe. 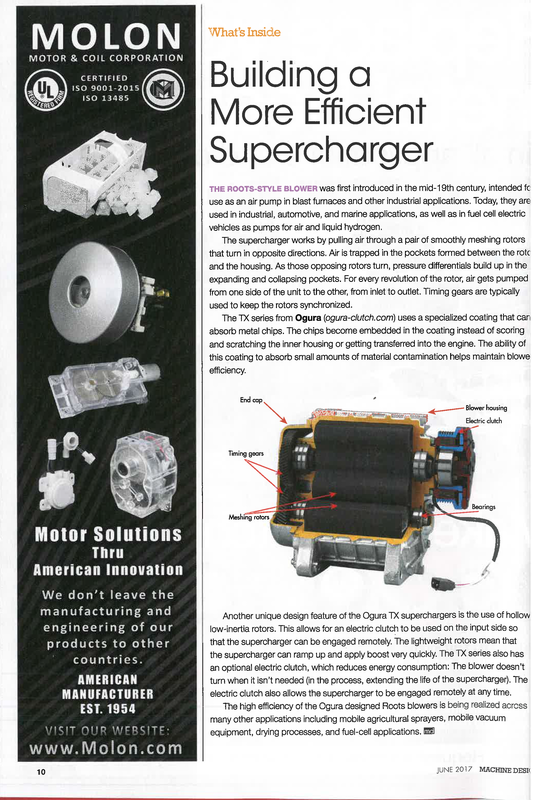 In March of 2007 Diesel Progress ran an editorial describing how Ogura's high efficiency superchargers helped Kawasaki jet skis and other manufacturers achieve higher horse power output. 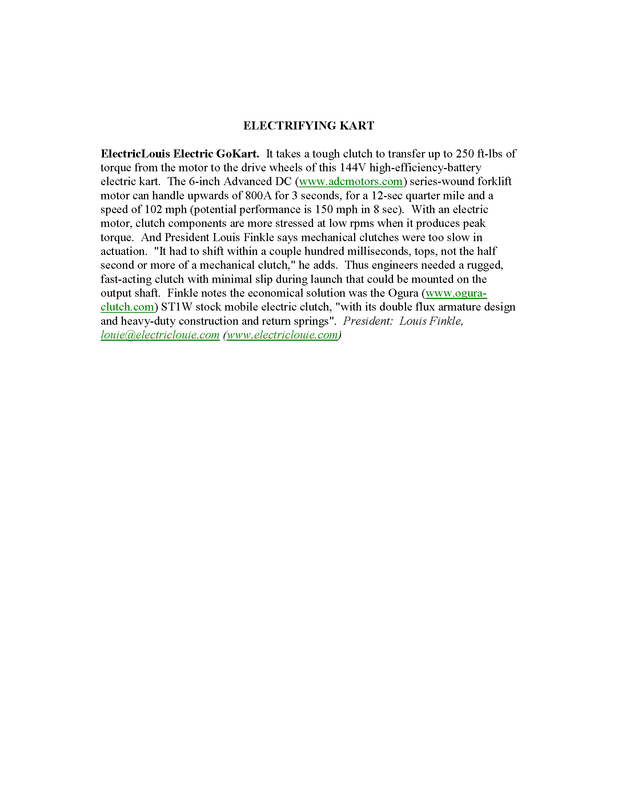 The article also describes how by utilizing Ogura electromagnetic clutches superchargers can be engaged and disengaged only when needed to reduce parasitic loads. 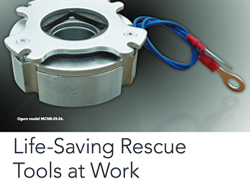 Hydraulics and Pneumatics: Pump clutches save energy, wear and tear. 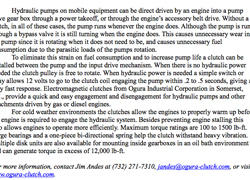 In December and article in Hydraulics and Pneumatics discussed how Ogura pump clutches can be used to decrease pump wear and fuel efficiency in both mobile and stationary applications. 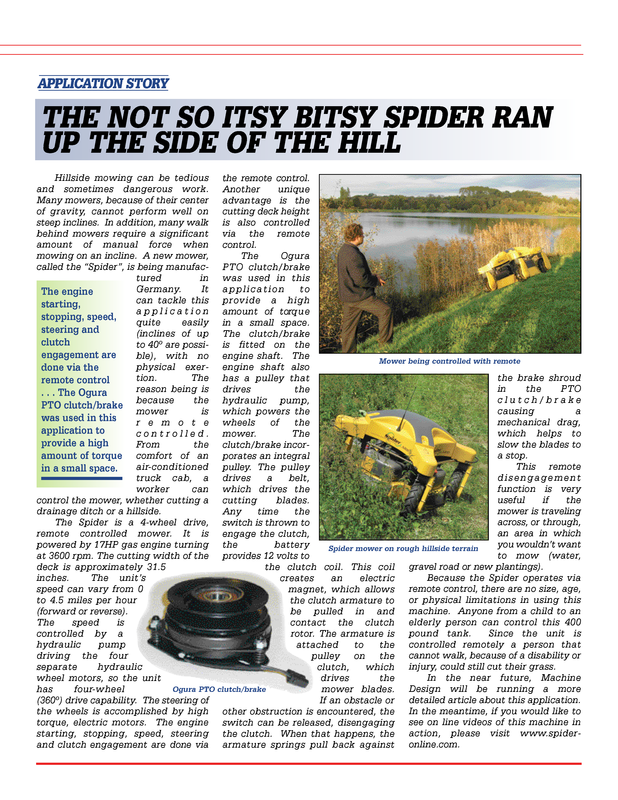 This news article from the August 5th edition of Machine Design shows Ogura PTO clutches on a new type of remote control mower. 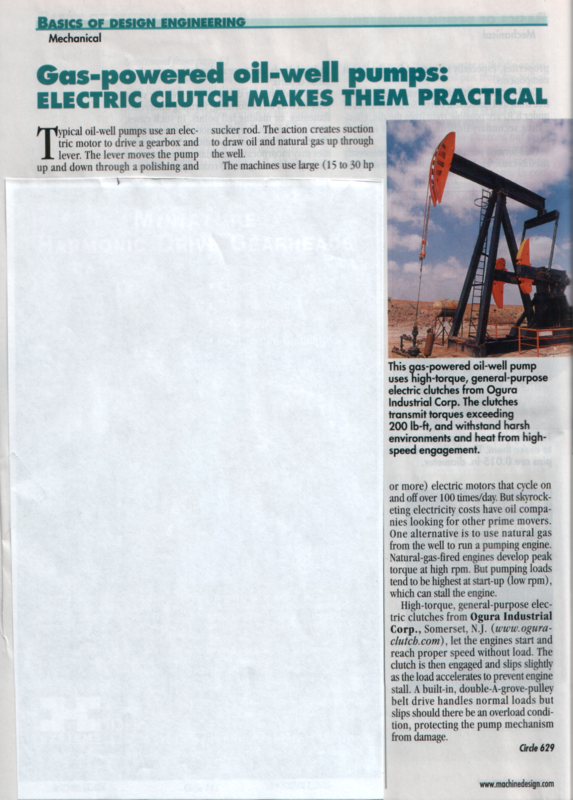 Machine Design ran an editorial in their August 7 edition on how Ogura's clutches are being used in the oil field industry to allow natural gas engines to cost effectively replace electric motors on pump jacks and how ideally they are suited for continuous exposed environmental conditions. In July, Design News ran a paragraph in their FLASH section, which denotes new and notable product designs. 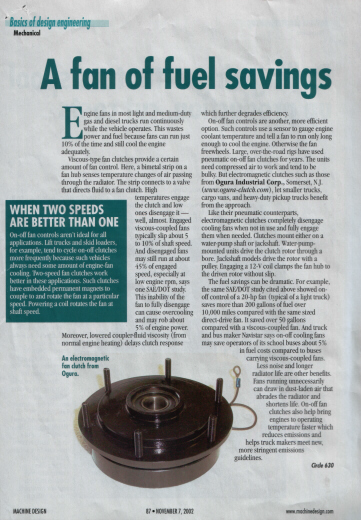 The article highlighted how the ST1W electromagnetic clutch allowed a go kart to achieve speeds in excess of 100 mph. This article from Design News shows how effective an Ogura magnetic particle brake can be used in an arcade game. 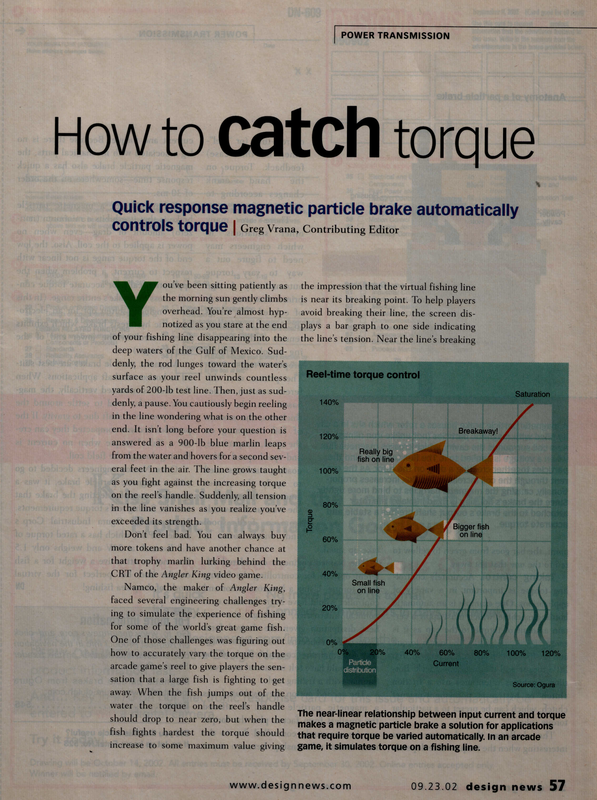 The article shows how a magnetic particle brake can simulate line pull in the arcade fishing game called "Angler King" from Namco. Ogura Industrial provides TimberKing with a clutch/brake that enables a rotating band saw to be started and stopped remotely. Now an operator can remain behind the mill and control all functions. Upon cutting power to the clutch/brake, the brake slows to meet pre-set stop time requirements. Remote control over blade engagement and disengagement also minimizes the stress on the blade band. 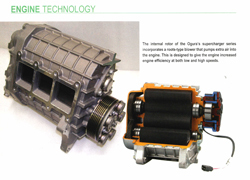 Ogura Industrial was featured in an industry trade magazine showing how a small horsepower diesel engine and a number of Ogura clutches can run the various generators and compressors required on a tractor trailer. The advantage with running the smaller horsepower engines is that the drives do not have to run their large diesel engines all night long just to provide heat and electricity. A full version of the article as it appeared in the Ogura newsletter is attached to the link. With the increase in usage of electric PTO clutch/brakes in the outdoor power equipment industry, many customers are doing their own trouble shooting of PTO clutch/brakes. The following is an article that was originally published in 1995, but it is still relevant today. However, before proceeding with any of the numerical references in the article, please check with the manufacturer to confirm the specifics for the clutch you are using. 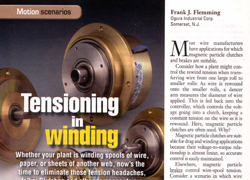 Ogura Industrial was featured in the October 19, 2000 issue of Machine Design. 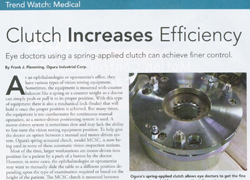 The article entitled "Electric Clutches on the Go", show the advantages of Ogura clutches on gas and diesel engine applications. Ogura Industrial was featured in the October 16, 2000 issue of Design News. 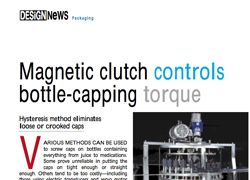 The article entitled "Magnetic clutch controls bottle-capping torque", showed how Ogura engineering brings a better twist to the bottling industry. Ogura Industrial was featured in the May 15, 2000 issue of Design News. 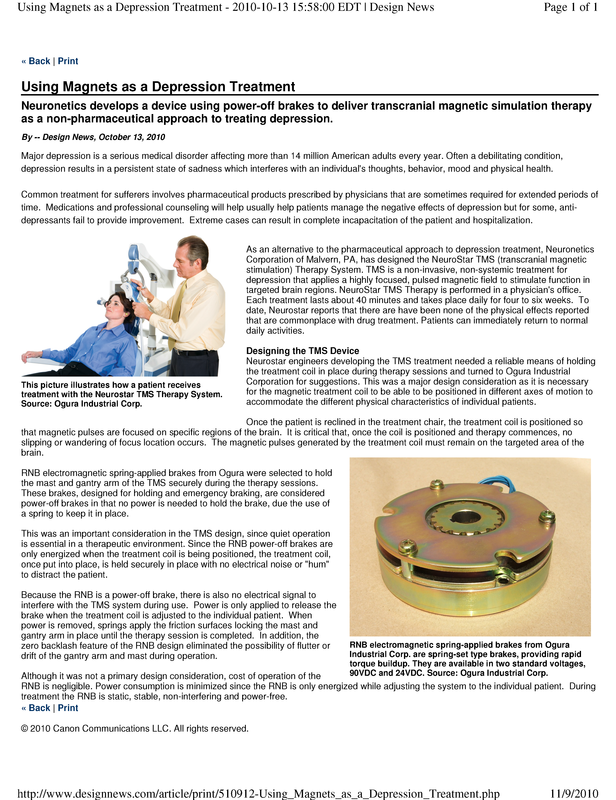 The article, entitled "Magnetic-particle clutch ENDS paper chase", showed how Ogura engineering helped in speeding up Kodak's Document Scanner 9500. Ogura Industrial was featured in the April 3, 2000 issue of Design News. 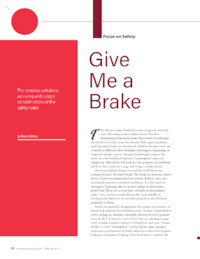 The editorial article, entitled "Redesigned Mower Brake Stops On A Dime", showed how Ogura engineering overcame a design challenge at Simplicity Manufacturing. 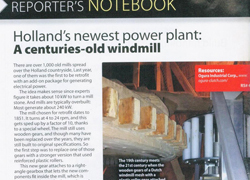 Ogura Industrial was featured in the September issue of Machine Design. 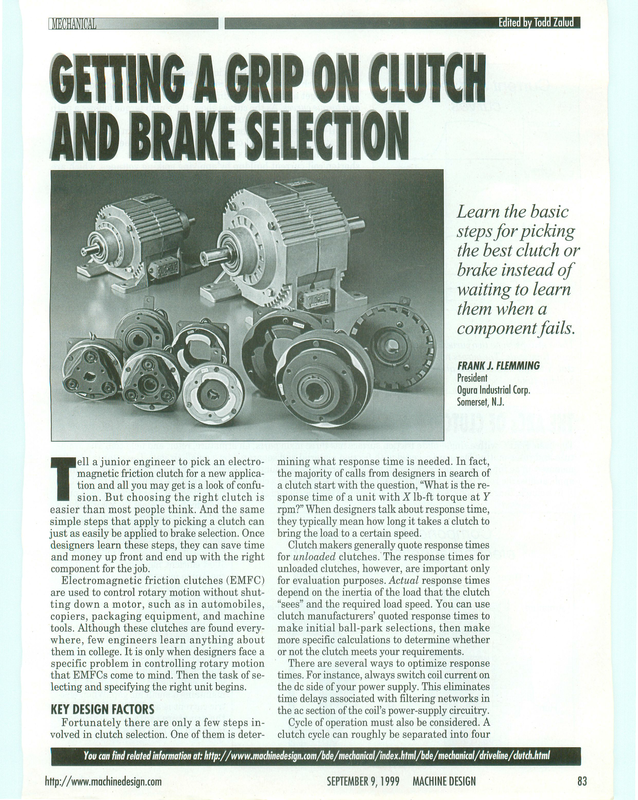 The featured article, entitled "Getting A Grip On Clutch And Brake Selection", detailed the proper steps that should be taken when selecting an electromechanical clutch or brake. 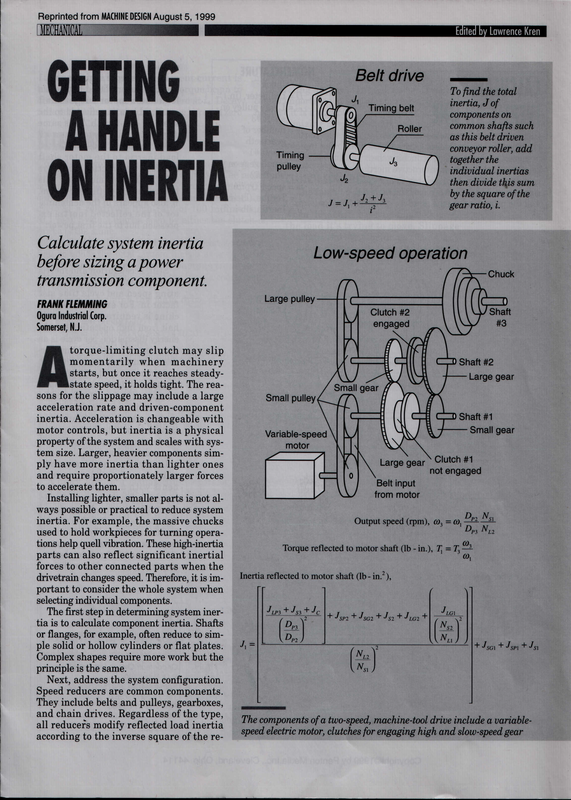 The article also highlighted the importance of inertia when selecting a clutch and brake and the free inertia calculator on our web site was highlighted.